In 2015, Kate Baker and colleagues published the first report of a child with severe disability and a mutation in Synaptotagmin 1 (SYT1). SYT1 is the critical molecular trigger for fast, synchronous neurotransmitter release, highlighting an important new mechanism for developmental disorders. Following this first case report, genomic testing laboratories around the world began to look for similar cases. By 2017, ten more young people with SYT1 mutation had been identified in Europe, the USA, Jordan and Australia. Kate, who now works at the MRC CBU as a Programme Leader, worked with these international clinical centres and with parents to collect detailed information about each child. Although every family has its own unique story, there are strong similarities between the problems experienced by children with SYT1 mutation. For example, most of the children do not use speech to communicate, spend a lot of time chewing their fingers, and are described as “unpredictable”, switching from calm to agitated for no obvious reason. Another striking similarity is an unusual pattern of brain electrical activity, not seen in other neurodevelopmental disorders. These similarities mean that SYT1-associated neurodevelopmental disorder can be confidently diagnosed in future. To understand how SYT1 mutations identified in these children affect brain function, Kate teamed up with Sarah Gordon, a synaptic physiologist at the Florey Institute of Neuroscience and Mental Health in Australia. Sarah and her team found that each of the SYT1 mutations affects brain cells in slightly different ways. However, when any of the mutations is present alongside some normal SYT1 protein (which is the situation for patients), electrically-stimulated neurotransmitter release is slowed down. The mutations causing the biggest “slow-down” were found in children with the most severe neurodevelopmental problems, suggesting a direct link between SYT1 function, neurotransmission speed and cognitive development. Over time, we hope to understand how SYT1 mutations and neurotransmitter release speed affect specific brain systems and cognitive skills such as action control and communication. The ultimate goal is to discover safe and effective therapies for children with SYT1-associated neurodevelopmental disorder and related conditions. The Cambridge Clinical Research Centre in Affective Disorders. 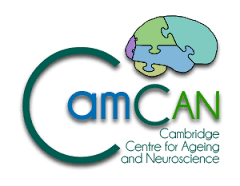 Cambridge Centre for Ageing and Neuroscience.